Jimmy Fallon Admits Using Surrogate For The Recent Birth Of His Daughter! He also told the magazine that because his wife was having a hard time previously getting pregnant, they wanted to keep the news a secret from everybody. They did not even tell friends or family! 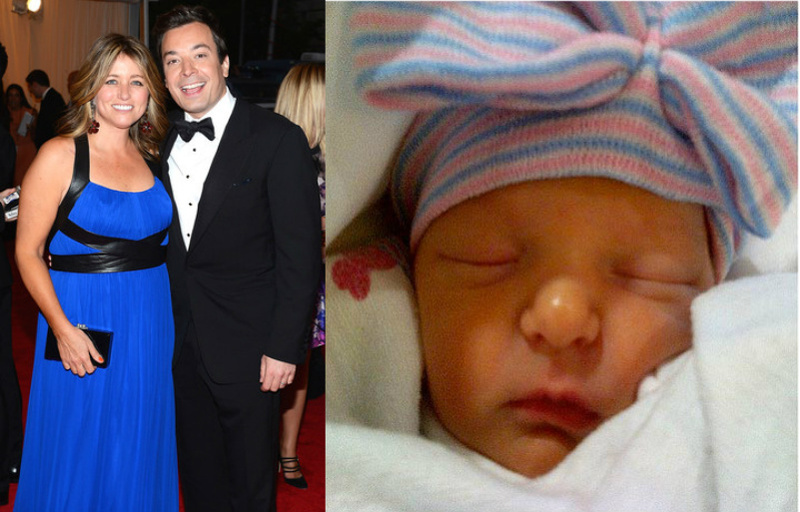 FitWithFallon sends major congrats to Jimmy and his wife and the new addition to the family! Looks like Megan Fox and Brian Austin Green have a newest addition to their family…well not that quick! A source told U.S. Weekly that Fox and Green are expecting another baby and that Fox is currently in New York working on her Teenage Mutant Ninja Turtles movie. Perhaps the trampoline workout that she’s done for the movie wasn’t just for her role, but maybe to keep healthy for her unborn child. Great job in keeping healthy, Meg! We want to congratulate Meg and Brian on the newest addition, and look forward to Meg having another healthy bounce back! Photo Credit: People Magazine, Yahoo!